You can find lots of things to do in Missouri City, Texas. There are plenty of activities, recreation, performing arts, parks, entertainment, libraries and don’t forget about Golf. Missouri City, Texas is a colorful and affluent community located just 30 minutes due Southwest of Houston, well known for its hospitality and Texas charm. Missouri City represents a nice way to enjoy a safe, friendly family environment while still being close enough to the big city to enjoy the cultural diversity, entertainment, and business opportunities that go along with it. Youth and adults both can enjoy the organized sports activities in Missouri City. The Fort Bend Family YMCA host extensive fitness and sports programs for individuals and families. Visit the Harris County website for information and location of parks in the Missouri City area. Sienna Plantation Golf Club is an 18-hole regulation length golf course in Missouri City, Texas. This championship layout features 4 sets of teeboxes for the enjoyment of golfers of all skill levels. 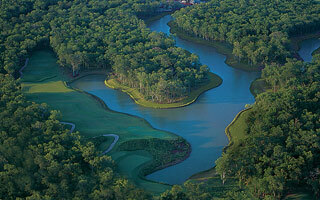 The El Dorado Course at Quail Valley Country Club is an 18-hole regulation length golf course in Missouri City, Texas. This medium-length layout has 3 sets of teeboxes for a fun, but challenging golfing experience. Visit the Fort Bend County Public Library website for a list of locations for other library branches in or near the Katy area. Search for Cypress Real Estate Listings and Homes For Sale with our Home Finder Tool!